The JSF development program is nearing completion and it is also continuing to successfully ramp up production and accelerating a standup of global enterprise. 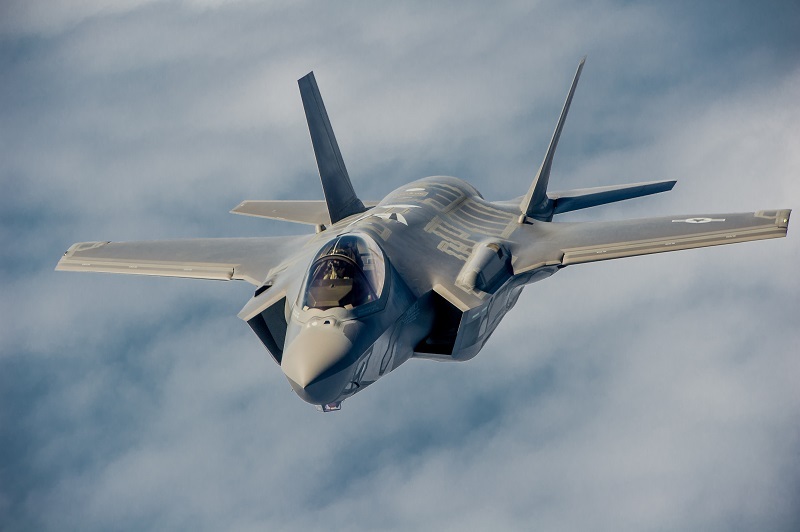 Production of the F-35 Lightning II joint strike fighter is on a good trajectory and is a necessary aircraft in the military’s arsenal to battle high-end threats, service leaders told a House Armed Service Committee panel today. Providing an update on the F-35 program to the subcommittee on tactical air and land forces were Air Force Lt. Gen. Christopher C. Bogdan, program executive officer, F-35 joint program office; Navy Rear Adm. DeWolfe “Chip” Miller III, director of air warfare; Marine Corps Lt. Gen. Jon M. Davis, deputy commandant of Marine Corps aviation; and Air Force Maj. Gen. Jerry D. Harris Jr., deputy chief of staff, strategic plans, programs and requirements. The program’s development, production and sustainment have made significant and solid progress, Bogdan said. “The fleet is rapidly expanding and we're flying F-35s in the United States, Italy, Japan and Israel as we speak,” he said. “The development program is nearing completion within the cost and schedule boundaries put in place in the 2011 rebase line. And the program is also continuing to successfully ramp up production and accelerating a standup of our global enterprise.” The general said today’s F-35 program is much different than it was five years ago when he became the program executive officer. It now has a fleet of more than 210 airplanes that have surpassed 73,000 flight hours. The price tag for an F-35A model costs is about $94.5 million today, marking a first in costing less than $100 million, he said. “The F-35B and the F-35C remain a top acquisition priority for the Marine Corps,” Davis said. He said he is becoming increasingly convinced the F-35 is a game changer and a war winner, and added the Corps “can't get those airplanes in the fleet fast enough to replace our F-18s and our Harriers,” which on average are 22 years old. With the fifth-generation F-35, “We're achieving astounding results in the highest threat scenarios and that across the range of military operations fight, with the F-35. It is changing things in a very decisive way,” Davis said. Along with the Marine Corps and Air Force, the F-35C is a Navy aviation acquisition priority, Miller said. “The F-35C will form the backbone of Navy air combat superiority for decades to come,” he said, adding its unique capabilities can’t be matched by modernizing the F-35 fourth-generation aircraft. With the F-35, the carrier strike group of the future will be more lethal, survivable and able to accomplish the entire spectrum of mission sets to include immediate response to high-end threats, the admiral said. Harris said the airplane is doing exactly what the military needs it to do. “The final F-35A fleet is growing and will become a dominant force in our fifth-generation arsenal, deterring potential adversaries and assuring both our allies and our partners at the same time,” the general said.